Here is the introduction of HAND FRAMED LINEN C/D from 19SS comm. arch. Women’s. This style was very popular in 18SS as well. 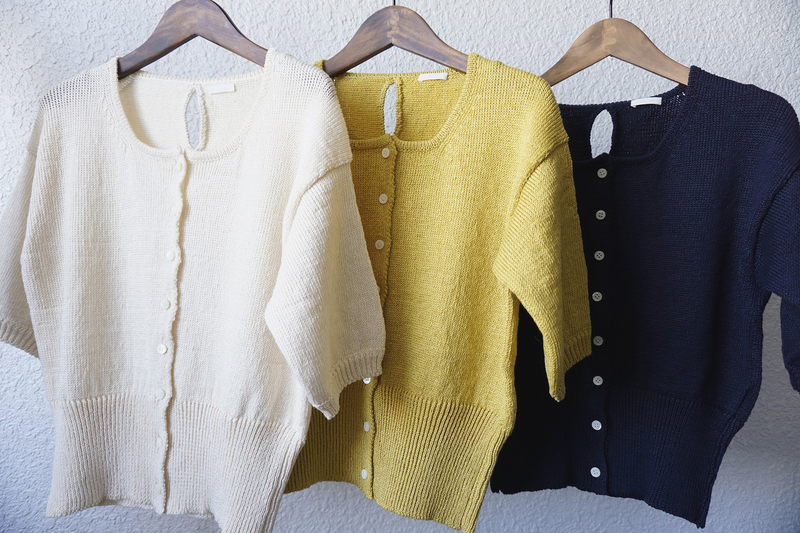 This short sleeved cardigan was very slowly knitted by skillful hand frame knitters in Japan. 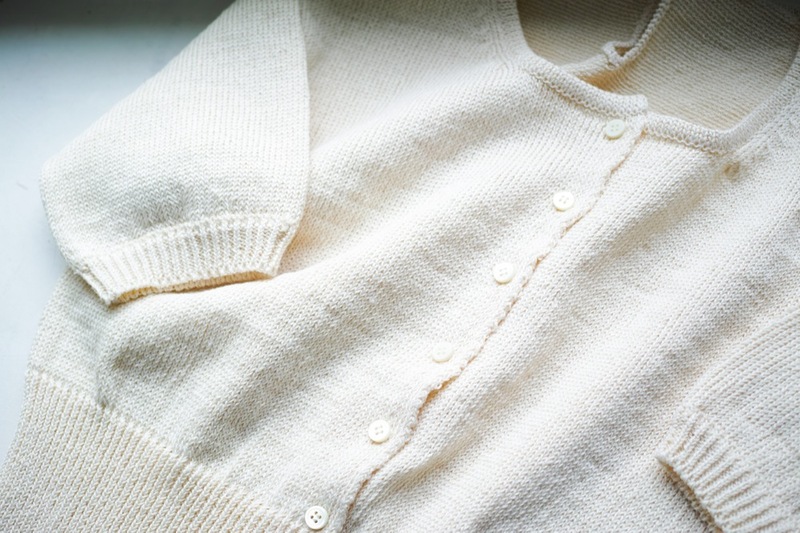 Usually machine knitted linen jumpers are quite sensitive and sheer but this item is very tightly knitted so feels very unusual. Please try them on at our stockists! Copyright © Joe Mc. All Rights Reserved.